Hello! This is Trevor again. Welcome back to Project Penguin. Today we will be making a hot cocoa craft. 1. Cut out these shapes. You can use any color for the mug and handle, but the cocoa should be brown. 2. Choose a background. You need a background and a foreground. I chose that my foreground would be a wooden table. Glue the foreground on top of the background. Move the mug until about half of it is off the foreground. Glue. 3. Cut a snowflake sticker in half. Unstick it and attach it onto the mug. 4. Make marshmallows out of felt and glue them onto the cocoa. Pull a wisp out of a cotton ball to look like steam. Glue them in place. Now it's your turn! 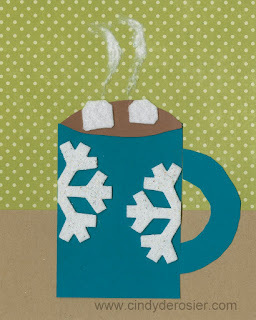 Make a hot cocoa craft or something inspired by my hot cocoa craft for a chance to win. Take a picture, then link it below before January 3. Awesome project! I love it! 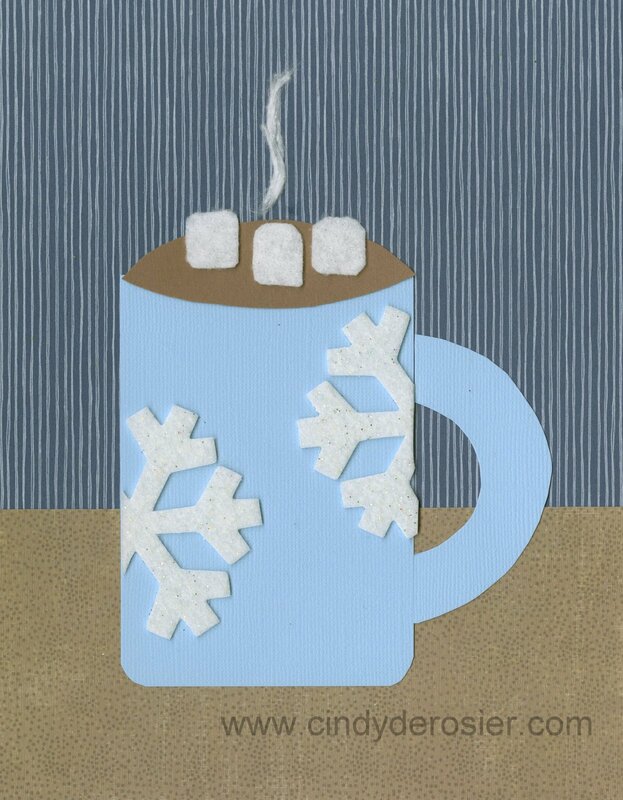 Both of your hot cocoa art projects are amazing.